How Much Does Netflix Spend On Streaming Content?!? People constantly complain that there is nothing to watch on the Netflix Watch Instantly service, but considering how much the company is spending on content as of late, it definitely looks like they are out to change your mind. According to a new report from The Hollywood Reporter, Hollywood has entered a bit of a love/hate relationship with Netflix. While the entertainment industry first viewed it as a way to make a couple of bucks off of library (older) content, and would allow the company to license it cheaply. Those days appear to be coming to an end because as the company has grown, the licensing fees for even the oldest of shows is creeping up. Then there are the deals with various cable channels where Netflix is paying companies such as EPIX $200 million a year to stream all of their content, and deals with unknown amounts such Time Warner, Fox, NBC Universal and so on. The only deal they got “on the cheap” was a deal with Starz in 2008 to pay them $30 million a year for 2500 pieces of content. This particular arrangement really launched the Watch Instantly service, but has left a lot of people mad at Netflix for getting it so cheap. The deal expires in 2011, and the expected new price will be somewhere around $250 million a year, but some are predicting Netflix may just buy the cable channel if it comes to that. So with all of the money being thrown around, why hasn’t Netflix ponied up the cash for HBO hit series like The Sopranos or Entourage? “HBO believes in content exclusivity, especially for high-value content,” Jeff Cusson, HBO’s senior vp corporate affairs told The Hollywood Reporter. “That’s our rationale for not selling streaming rights to a competing subscription service.” According to some speculation, Netflix would have to raise the streaming-only subscription price from $7.99 a month to $20 to make HBO happy. Even with all of the money the company has already spent, the company has a man in Hollywood at all times by the name of Ted Sarandos. His sole job is to continue securing rights for the Watch Instantly service, and working with him is a team of 80 people. 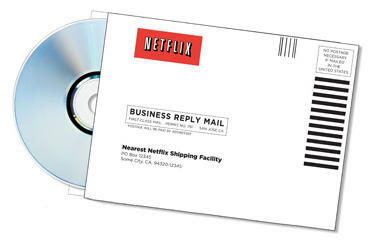 You’d be hard pressed to say Netflix isn’t serious about making this the best service it can. So, next time you log into your account and think they just don’t offer enough, remember just how much money the company is shelling out already. Me? I’ll just keep plugging through my ever growing on-demand queue. What say you? 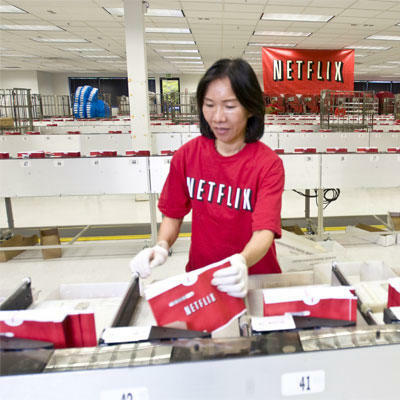 Is Netflix doing enough to entice you to using its Watch Instantly service?